Stuart Turton is a freelance travel journalist who has previously worked in Shanghai and Dubai. 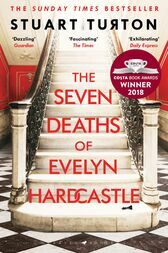 The Seven Deaths of Evelyn Hardcastle is the winner of the Costa First Novel Award and the Books Are My Bag Readers Award for Best Novel. He lives in London with his wife and daughter.